Look at this room: the coffee table has items on it but looks tidy, the furniture is arranged to make the most of the space, the art is non intrusive, the color is bold but neutral, and there is no clutter. This is what your home should look like if it is for sale! Homes that are staged before or during their time on the market are proven to sell more quickly than un-staged homes. 1. Start by taking photos of each room; do they look like they could be shown to anyone from, the editor of Better Homes and Gardens to your best friend? Often we see things more clearly in print. For example, if I photographer my office right now I would see all my piles of paperwork, Fabric samples (that I need to return), props I used in a photo shoot (that need to be put away), books off the shelves and much more. If I looked at the photo of my office I would think that room is a mess. 2. Rearrange and organize your home to show off the assets and camouflage the flaws. So if the photos you have taken make your rooms look small you know you need to remove and rearrange the furniture. If you have piles like me…buy storage containers! 3. Clean off all surfaces. A coffee table for example should have books and a flower arrangement…nothing else. 5. Go through all drawers and closets, buyers are not snooping when they open everything up, they want to see if their stuff will fit in your home. Empty or organized drawers and closets sell houses! 6. Fresh flowers and plants make homes look fresh. 7. Buyers buy lifestyle, buy or rent furniture and/or décor to make your home look its best. 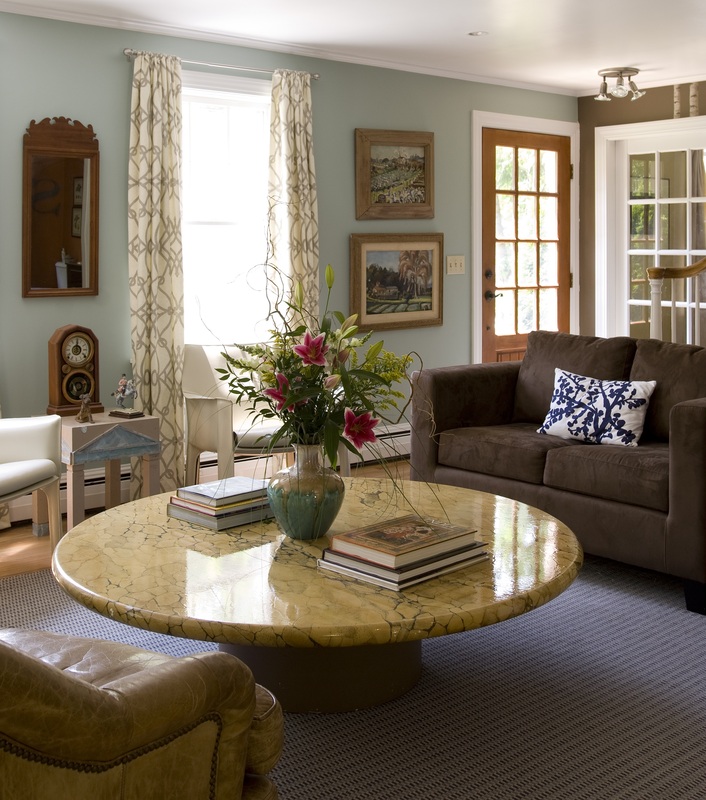 A few nice furniture pieces or nice paintings can transform a space. Keep in mind most moves are upward, in other words most buyers are buying nicer or larger homes than they currently own. So you need show off your homes best features! Make spaces look larger with fresh paint, fewer furniture pieces and ample storage! Thank you so much! I am going to check your blog out now!